Keep your dishware organized and your counters neat and dry with this dish rack that has a flexible material that collapses down for easy and efficient storage. 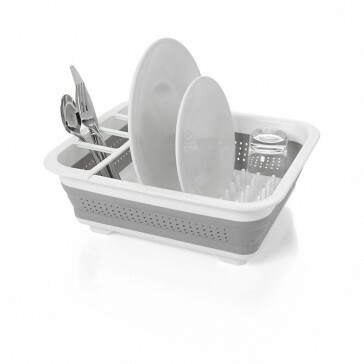 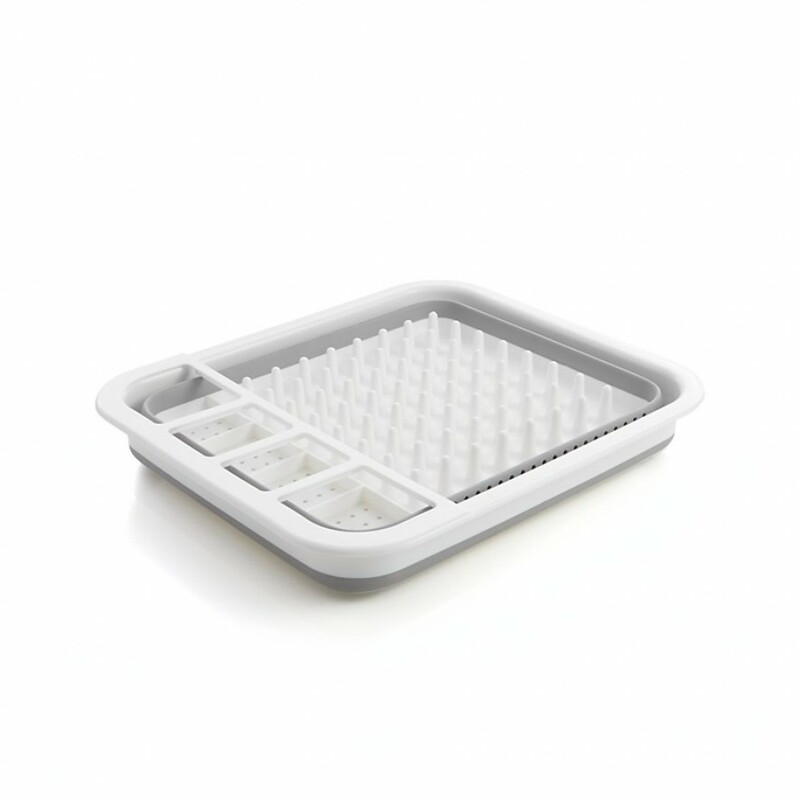 It can be used with a drying mat or drainboard. 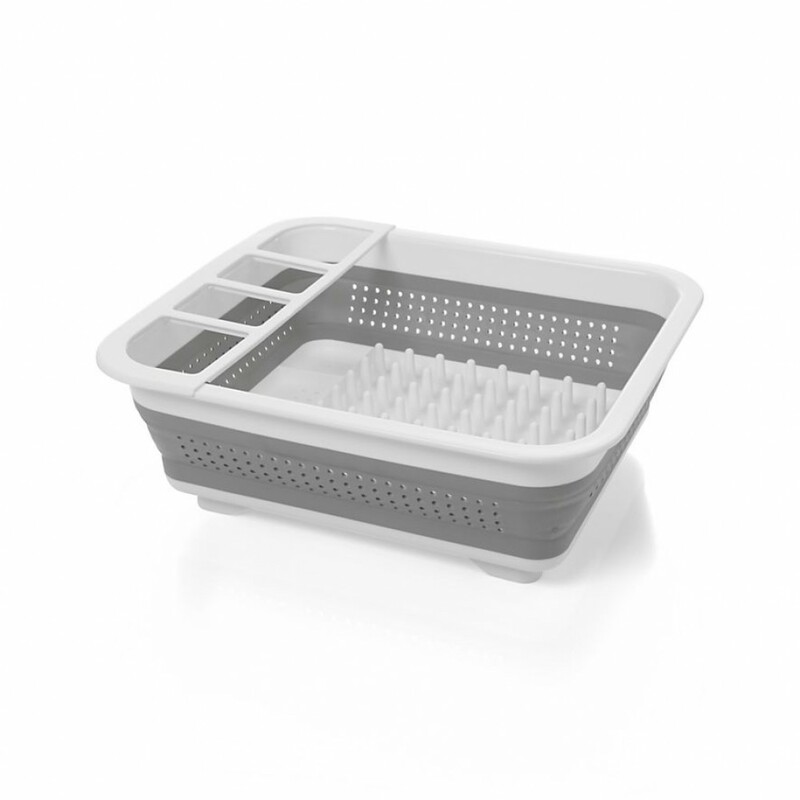 Made from durable plastic and lined with a soft-grip material to keep items in place and non-slip base to prevent shifting.